LEGO® MOVIE 2 review: 70840 Welcome to Apocalypseburg! 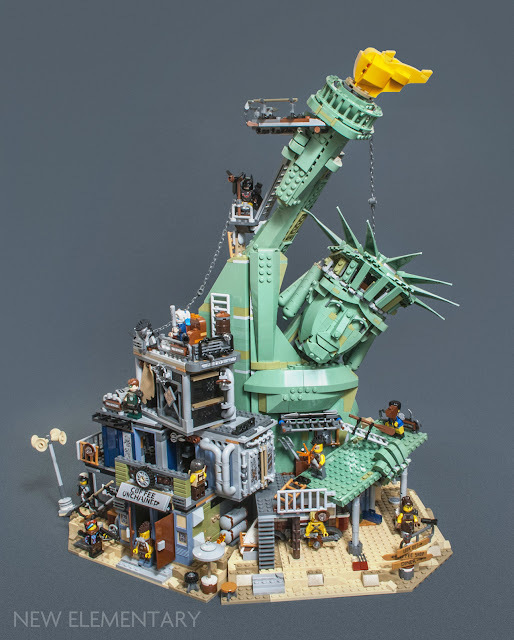 Coming 1 February 2019 (and already available for VIP members), LEGO® 70840 Welcome to Apocalypseburg! is the largest and arguably most thrilling set from THE LEGO MOVIE 2: The Second Part. But how do the parts stack up? Sven Franic takes a look inside this 3178-piece set and its plethora of Sand Green. 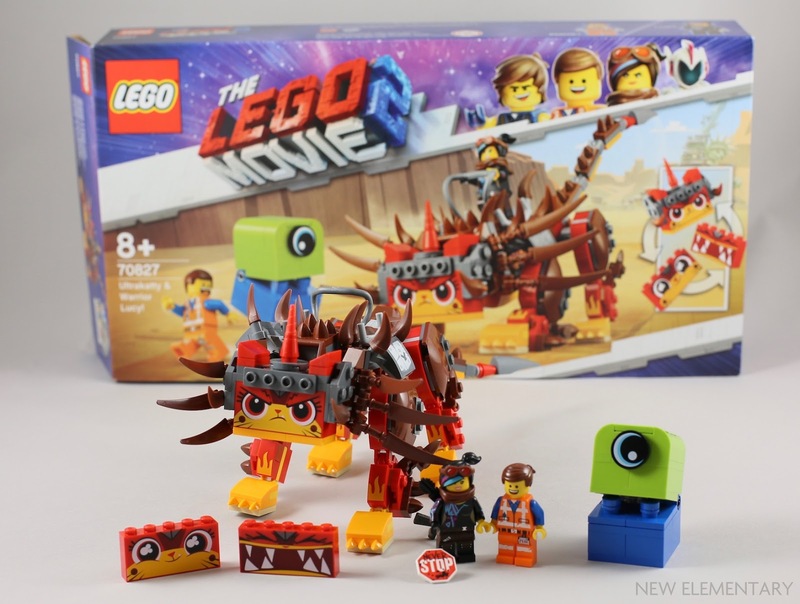 The flagship set for THE LEGO MOVIE 2: The Second Part focuses attention on the part of the film featuring the derelict remains of Bricksburg from the first film (which may have some resemblance to New York?). 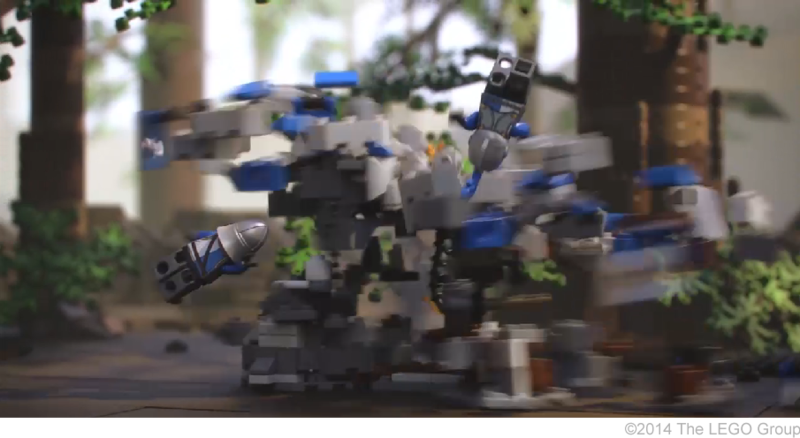 This is an opportunity to jump on the revived pop-culture trend of the post-apocalypse dystopia and a great way for adult fans to connect with what is probably the closest The LEGO Group will touch a certain Ozploitation trilogy from our childhoods. 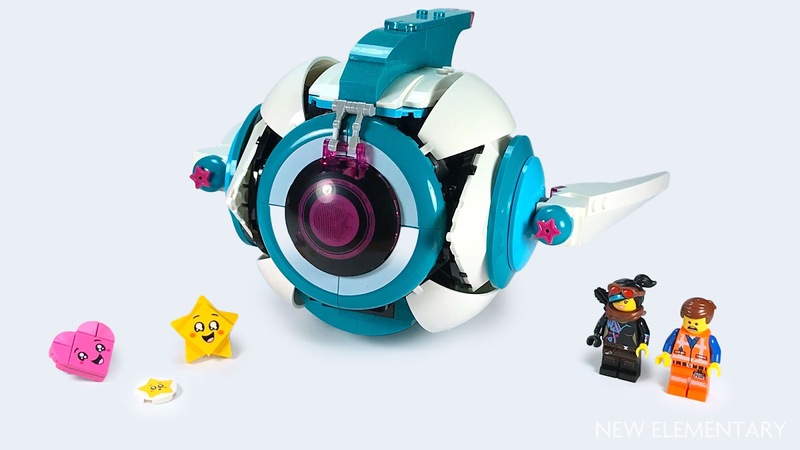 LEGO® MOVIE 2 review: 70830 Sweet Mayhem’s Systar Starship! Our series of set reviews of THE LEGO MOVIE 2: The Second Part continues today with 70830 Sweet Mayhem’s Systar Starship! Ben Davies (ProfessorBrickkeeper) returns to examine another bumper collection of exciting parts. One of the first sets revealed for the toy line and featuring prominently in the initial trailer for the film, 70830 Sweet Mayhem’s Systar Starship! 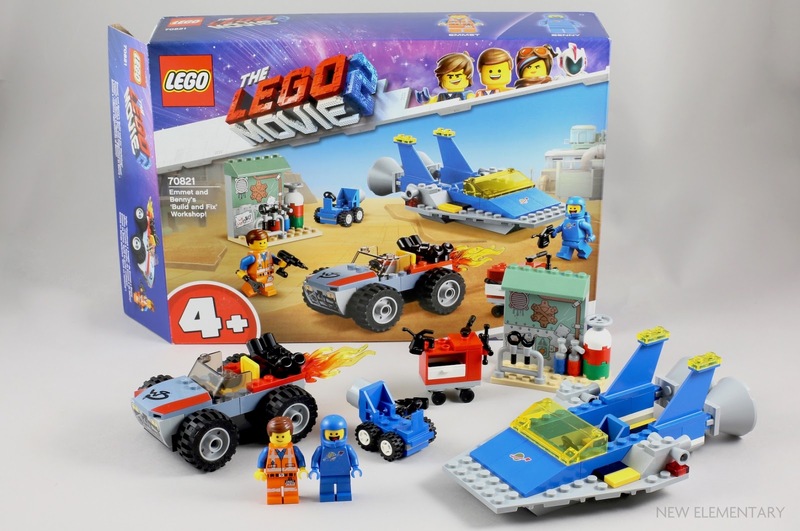 has been one of the most anticipated sets for The LEGO Movie 2, thanks in no small part to its unusual design, wide assortment of teal bricks, and inclusion of several new-for-2019 elements. Before examining all the new parts, let’s take a look at the construction of the ship and the finished model. 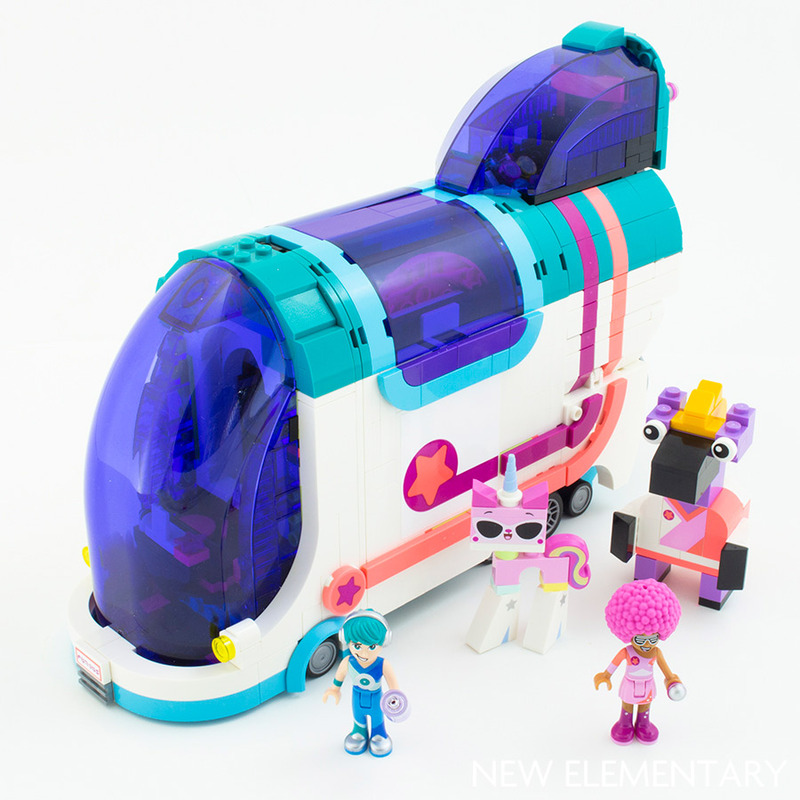 We've been eyeing off the new 2019 color and those new LEGO® gears for a few weeks now, and here both of them are in 70828 Pop-Up Party Bus! Ryan Howerter takes a look at this 1024-piece set which is priced £79.99 / US$79.99 / 89.99€, available at the usual suppliers including Amazon USA and Amazon UK. Out of the 25+ sets revealed so far for The LEGO MOVIE 2: The Second Part, the Party Bus is the only one to include this year’s new color: Vibrant Coral [TLG]/Coral [BL]. And boy, does it have a lot of it! Let’s get started. 70824 Introducing Queen Watevra Wa'Nabi is the third set from THE LEGO® MOVIE 2: The Second Part that we are taking a closer look at – along with some commentary from Nick Vas, a LEGO Designer who was involved in its creation. 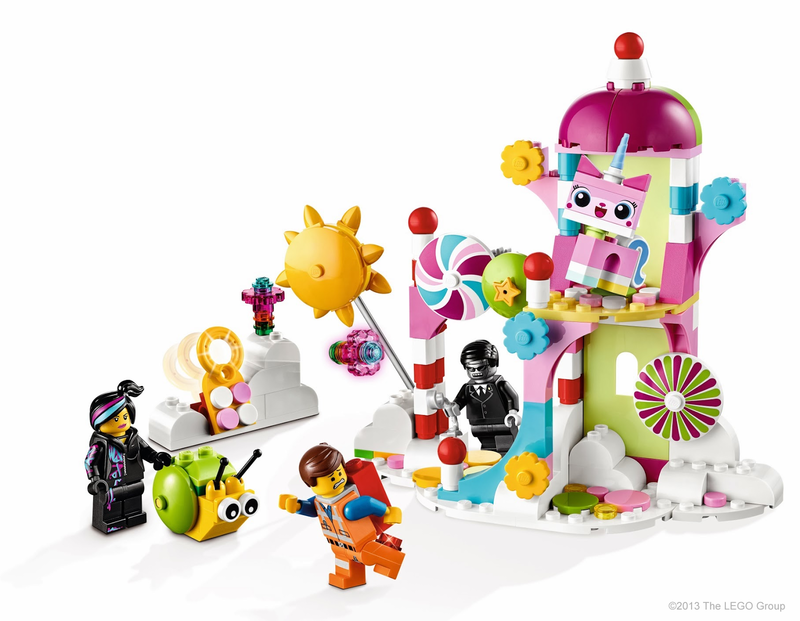 It has 115 parts, including a new Lucy minifigure, Sweet Mayhem minidoll, Susan minidoll, and is now available priced £17.99/ 19,99€/ US$19.99 at Amazon USA and Amazon UK as well as all usual retailers. First let's take a look at the new elements and printed parts in this small, colourful set. LEGO® MOVIE 2 review: 70821 Emmet and Benny's ‘Build and Fix' Workshop! 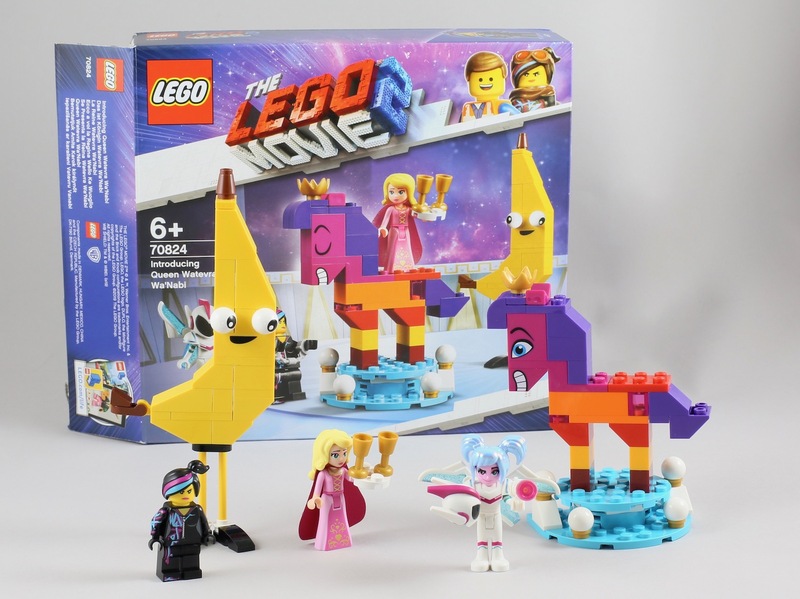 THE LEGO® MOVIE 2: The Second Part is assembling in cinemas in February 2019, and the tie-in sets have just been released in stores. 70821 Emmet and Benny's ‘Build and Fix' Workshop! is the second set we are taking a closer look at. 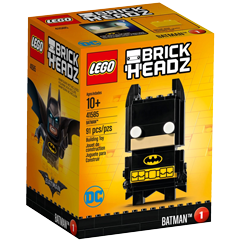 It has 117 parts, including new Emmet and Benny minifigures, and is now available priced £17.99/ 19,99€/ US$19.99 at Amazon USA and Amazon UK as well as all usual retailers. 70821 Emmet and Benny's ‘Build and Fix' Workshop! is particularly aimed at preschoolers and young builders. Such sets were previously branded as LEGO® Juniors, now it seems they just carry a large 4+ age mark. The Juniors moniker was introduced for kids who knew they were getting too old for DUPLO and wanted "grown up LEGO"; perhaps the name was dropped as they didn't want something marked as junior either? Conversely, it seems no grown up is too old for this set. LEGO® MOVIE 2 review: 70827 Ultrakatty & Warrior Lucy! THE LEGO® MOVIE 2: The Second Part is assembling in cinemas in February 2019, and we happened to stumble upon a few of the tie-in sets placed on the shelf early in a John Lewis store. We took this opportunity to review some of the sets before their official release starting with 70827 Ultrakatty & Warrior Lucy! This set contains 348 parts and is due for release 26th December 2018 in the UK priced at £24.99/ US$29.99/ €29.99. Clearly, we have not yet seen THE LEGO® MOVIE 2: The Second Part but from the trailers and the various promotional information we know that it takes place five years after the end of the first movie. We saw some DUPLO characters appear just as the final credits started to roll and it seems those invaders turned awesome Bricksburg into a post-apocalyptic wasteland, now known as Apocalypseburg. For the second year running, a new LEGO® hue is being introduced: 2019 sets will include Vibrant Coral, which has the colour ID 353. We simply cannot wait to get our hands on it, so instead we asked LEGO colour aficionado Ryan Howerter to guess how it might look! Nothing gets me as excited about new LEGO sets as much as brand-new colors, and given The LEGO Group’s modern palette constraints – a color has to be removed from the palette to make room for any additions – that doesn’t happen very often. So it was a pleasant surprise to see salmony parts in the new The LEGO Movie 2 set 70828 Pop-Up Party Bus. LEGO has been very good at introducing new colors in a wide variety of basic and specialized parts within the first year after launch, so instead of focusing on the few shapes it comes in so far, let’s explore the potential of the color itself! We sent a varied selection of new LEGO® parts to some fan builders to explore techniques and models. This time we have the talented Steve Guinness: one half of the team who won Series 1 of Channel 4's LEGO Masters who now undertake commissions as The Brick Guys. When I saw the 1x3 jumper plate (Design ID 34103) I liked the unusual pattern on the underside, as it has no anti-studs or pegs. The tiny triangles reminded me of teeth so I came up with these Clockwork Robots. 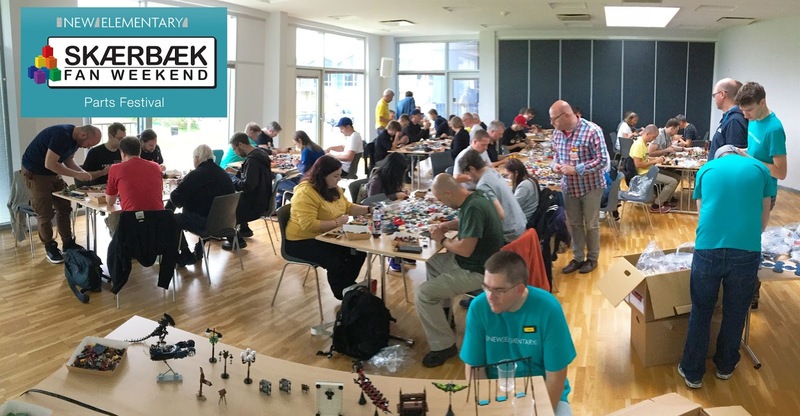 On the last weekend of each September, the Skærbæk Fan Weekend brings together hundreds of LEGO® fans from dozens of countries for a few fun-filled days in a remote Danish coastal town. 2017's was the biggest yet, and on the Sunday morning New Elementary ran one of our 'live' parts festivals: a special workshop where, thanks to the LEGO Group, 60 AFOLs got their hands on some of the newest LEGO pieces to see what they could build within the space of an hour. At long last I'm ready to show you what they made! Well, almost. Today I will introduce the parts I chose for the festival. 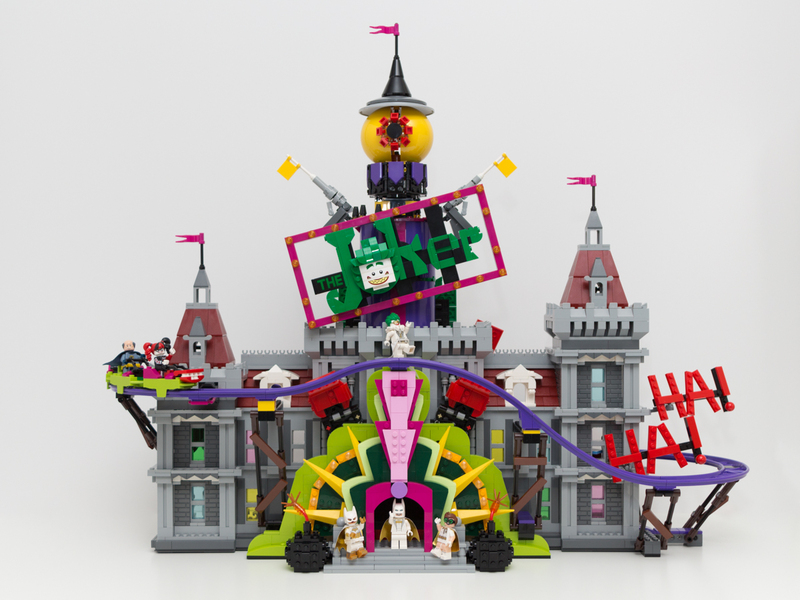 Somewhere in among designing his latest range of gorgeous Christmas ornaments, Chris McVeigh managed to find the time to crack open THE LEGO® BATMAN MOVIE 70922 The Joker Manor for us and, having assembled its 3444 pieces, dissected it again to locate all the exciting new and recoloured LEGO elements - including its completely new rollercoaster system! The set is now available priced £249.99 / US$269.99 / 269.99€. The Joker Manor is a sprawling set that imagines Wayne Manor has been overtaken and aggressively remodelled by the Joker (as seen in THE LEGO® BATMAN MOVIE). It’s a brilliant display piece with a glitzy, colourful entrance, oversized spring-loaded boxing gloves, a garish, glaring tower, and naturally, giant “The Joker” branding. However, the real showstopper is the rollercoaster that encircles the manor. With this set LEGO introduces an all-new car and track system that is sure to appear in many upcoming product lines, from City to Creator Expert. In this article I’ll closely examine the new rollercoaster elements, highlight other new parts, and discuss interesting recolours and reissues. Today, Chris McVeigh (powerpig) reviews the fantastic new range of LEGO® parts found in 70620 NINJAGO City, the largest of the sets from The LEGO NINJAGO Movie range, which went on sale this month priced at £259.99 / US$299.99 / 299.99€. 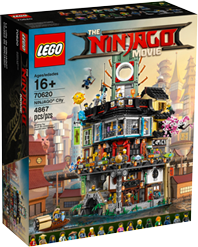 At 4867 parts, NINJAGO City is one of the biggest LEGO® sets ever. It's visually rich, incredibly detailed, and great fun to build. The city itself is divided into three sections, coinciding with three hefty building guides. Level 1: The Old World is built atop a murky waterway. On that level you’ll find a fish market, robot maintenance room, and the base of the elevator. Level 2: The Street is a busy pedestrian area that is home to shops and services, including a comic book store, clothing store, and crab kitchen. Up on Level 3: The High Rise, you’ll find Lloyd’s and Misako’s shared apartment, a rooftop sushi restaurant, and a luxury bathroom. In this article I’ll discuss new parts and how they’re used, highlight some of the more interesting recolours, and then look at the set’s clever roofing techniques. We left you on a bit of a cliffhanger when we showed you Kevin Levell's initial creations for our parts festival using the LEGO® NEXO KNIGHTS™Combo Power shield. Wait no more: let's blast off into Classic Space! I’ll admit, I got a bit carried away after I had the ‘Hab/Dome’ built. We have an unusual set to discuss today in that it contains a high percentage of newly recoloured elements in a single colour. 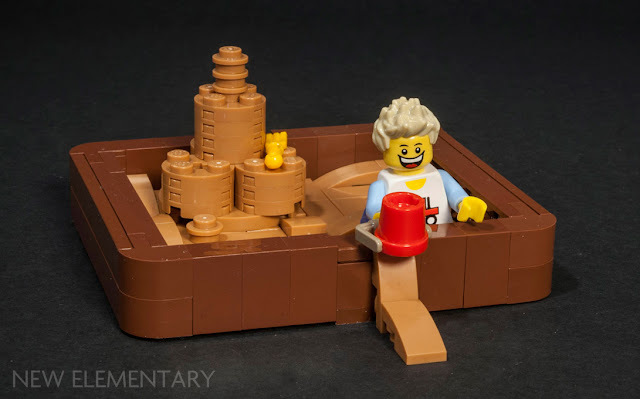 To discuss the Medium Nougat [TLG]/ Medium Dark Flesh [BL] pieces in LEGO® Batman Movie set 70904 Clayface Splat Attack we welcome a new author: Sven Franic (Flickr: svenfranic) who is a member of a LEGO User Group from Croatia, Kockice. 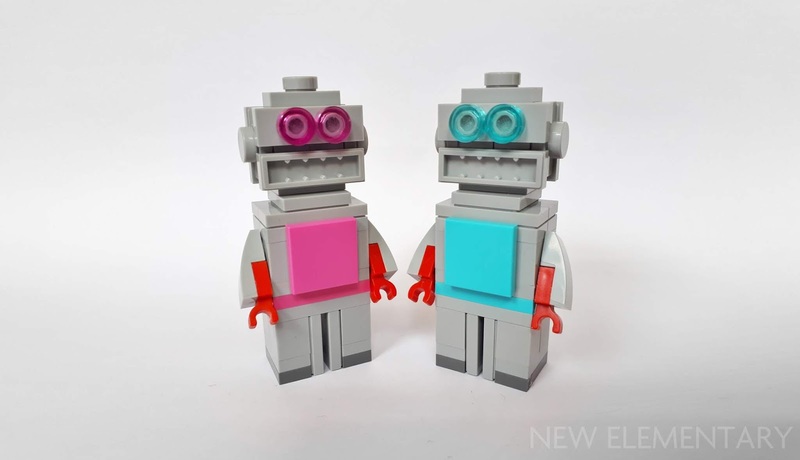 One of the main frustrations or challenges when building your own LEGO creations, depending on your point of view, is the limited number of colours a certain element is available in. This is especially true for those who like to build concepts in digital form, only to realize some crucial elements are not available in that shade. 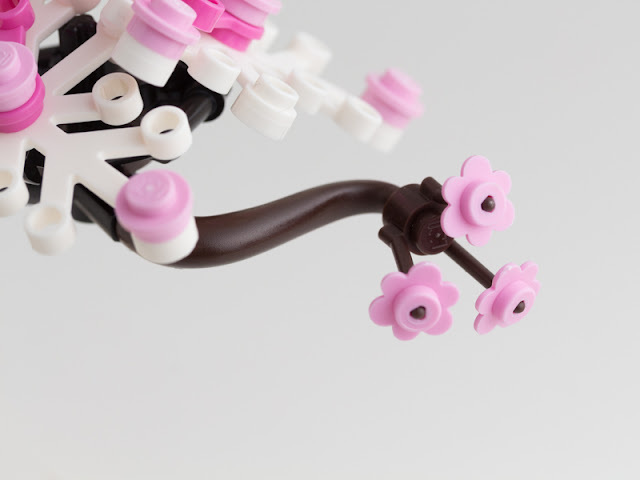 Some colours are so limited in choice of parts that nobody really sets out to build with them and it is just more convenient to stick with the commonly available colours. I am personally a bit tired of grey and brown. It is time for a colour revolution! 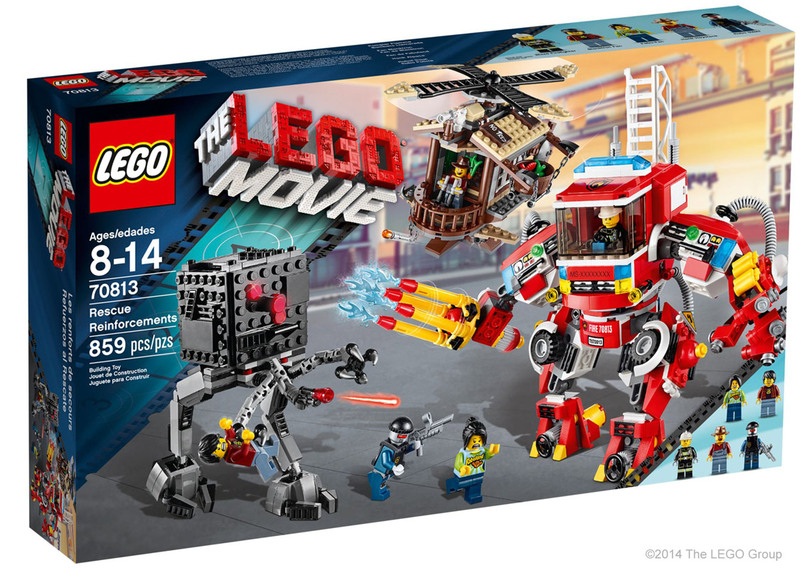 Is 2014 just the best year of LEGO® sets ever?? Of course not... that was 1979. But this summer's wave of new sets contains some absolutely thrilling sets. If it weren't for the upcoming LEGO Ideas Exo-Suit, I'd say that my most anticipated set of 2014 was 70816 Benny's Spaceship, Spaceship, SPACESHIP! Of course, I'm biased because this set represents the ultimate in nostalgia for me, but that also brought a huge weight of expectation to this build. 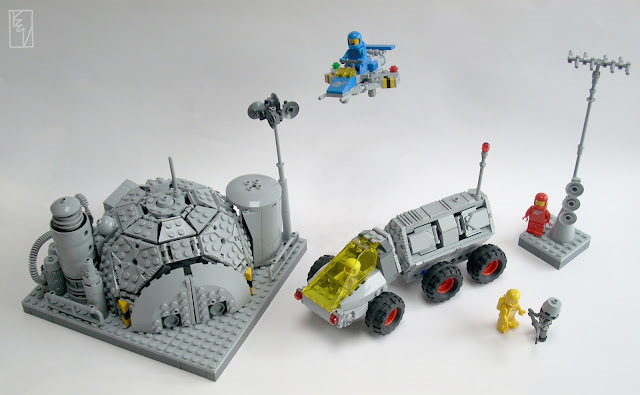 Could a modern set really evoke the kind of love I felt for my Space sets as a kid? I was really worried it wouldn't capture the intangible magic of Classic Space and just leave me feeling like it was any other modern-day Space set but in blue/grey/trans-yellow. I'm happy to report that this was not the case at all. Somewhat delayed by life in general, here at last is my final review completing the first wave of The LEGO® Movie sets; 70813 Rescue Reinforcements. You get a lot in this set (it has the greatest piece count of this first wave) and the completed build consists of a Micro Manager, a chunky mech made from a fire truck and a kooky helicopter made from a windmill. You don't get to see the 'original' forms of these as the set doesn't have the alternate instructions to build them. Nor did I spot them in the film itself - only the transformed versions - but perhaps like so much else in the film it was a case of blink and you'll miss it. I discussed 70803 Cloud Cuckoo Palace back when pictures were first released, and given it's a fairly simple and flat build, I haven't too much more to say now that I have the actual set in hand. But things did take an unexpected creative turn when I mailed one of its elements, which comes in Lime [BL]/Bright Yellowish-Green [TLG] for the first time, over to spacey chap Peter Reid. He's perhaps most famous for designing the Exo Suit which will be developed by TLG to become the next CUUSOO set, but another trademark build of Pete's is his MkIII M364 Turtle. Let's hand over to Pete to explain what this new element meant to him. well here's some further inspiration for you! ReBrick, the MOC bookmarking site run by TLG, are running a competition with some rather unique LEGO Movie prizes. To enter you must build an alternate model using only the pieces from one official set of your choice. It's for 16 year-olds and over and closes at the end of March. Hey, this seems like a good chance to remind ourselves of the alternate models we've come up with here at New Elementary over the last month! Following James Pegrum's look at 70806 Castle Cavalry, today I'm reviewing all three of the other "2-in-1" sets from The LEGO® Movie series; 70805 Trash Chomper, 70811 The Flying Flusher and 70804 Ice Cream Machine. On reviewing and rebuilding duty today we have James Pegrum, a prolific builder famed for his British history series (his model of WWII code-breaking computer Colossus sits on display in Bletchley Park next to the real thing!) and his realistic Castle builds. At 2013's STEAM exhibit in Swindon, UK, he built the massive castle and grounds for The Land of Tigelfah group display and recently he's entered seven categories in CCC XI (the eleventh annual Colossal Castle Contest). Given these honourable credentials I thought it would be interesting, or perhaps horribly cruel, to send him 70806 Castle Cavalry.